Carol’s birthday trip this year was a jaunt to Tuscany where we joined a couple of 1-week walking trips run by Explore!. Since both began and ended at Pisa airport, we managed to arrange to do both trips back-to-back spanning the middle of September. Our main agenda was walking, including significant stretches up hill, so we packed our camera equipment accordingly. Wildlife was not likely to feature much and we didn’t want to increase the uphill payload so Carol opted for what she refers to as her travel lens. Her travel lens is a flexible Canon EF-S 18-200mm f3.5-5.6 that copes with a good range of tasks in a relatively compact, light package. I bottled out completely and took Snappy, a modern Panasonic digital equivalent of a Kodak instamatic. OK, it’s slightly better than that but not a great deal. 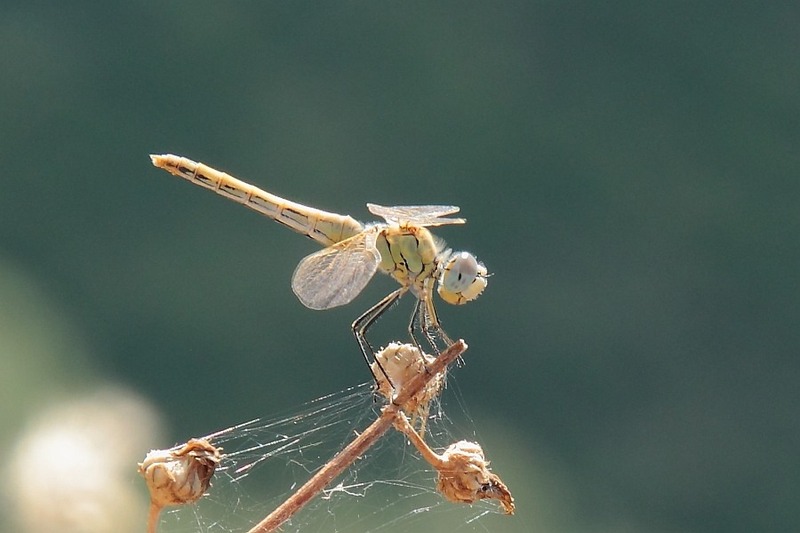 On one of our walks and on two of our days visiting towns/cities, I’m pleased to say we did bump into a few Italian Odonata, not enough to make us regret our packing decision but enough to help my interest, especially when it came to towns. Our first encounters were in our first week in the Garfagnana area outside the extremely impressive walls of Lucca. 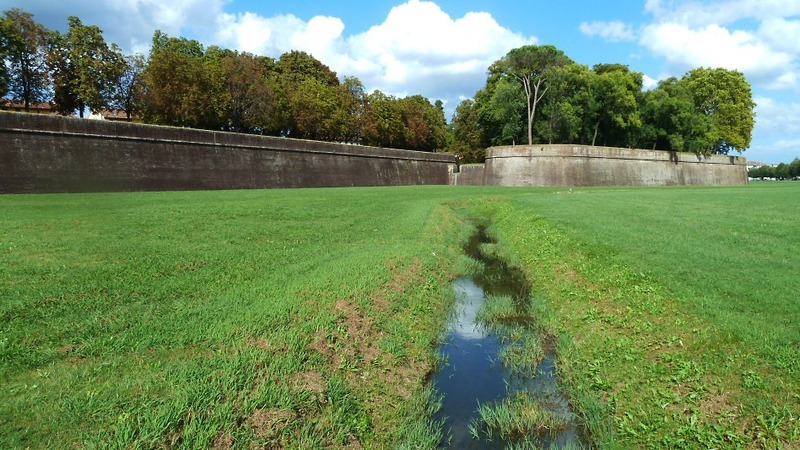 Outside the intact wall is an area of grassland with a small stream flowing through it. It looked like reasonable habitat and the Italian September temperatures were favourable so I couldn’t resist a look. 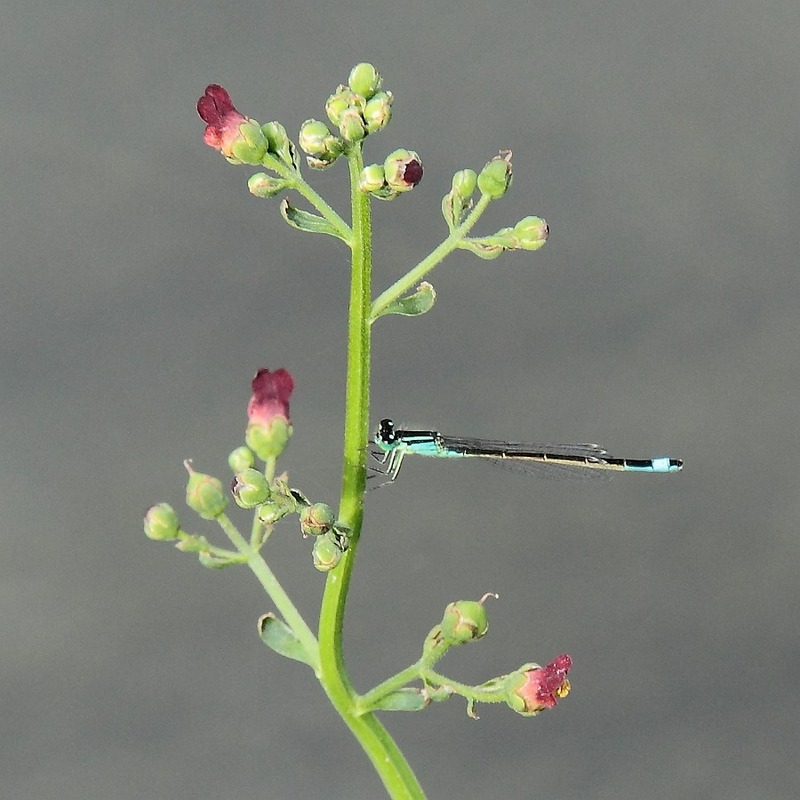 Sure enough, we spotted several Blue-tailed Damselflies (Ischnura elegans) which Carol cleverly managed to grab on her travel lens at maximum extension. 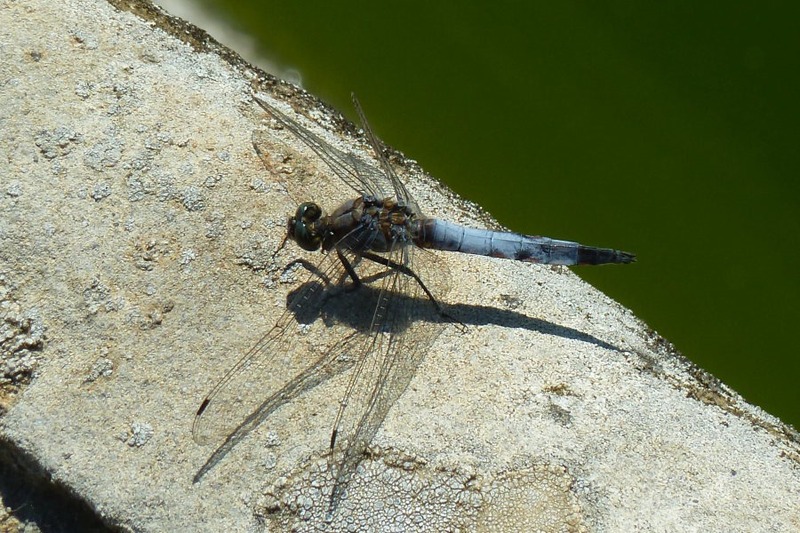 Actually, I also spotted a Black-tailed Skimmer (Orthetrum cancellatum), too, but it wasn’t cooperating for pictures. 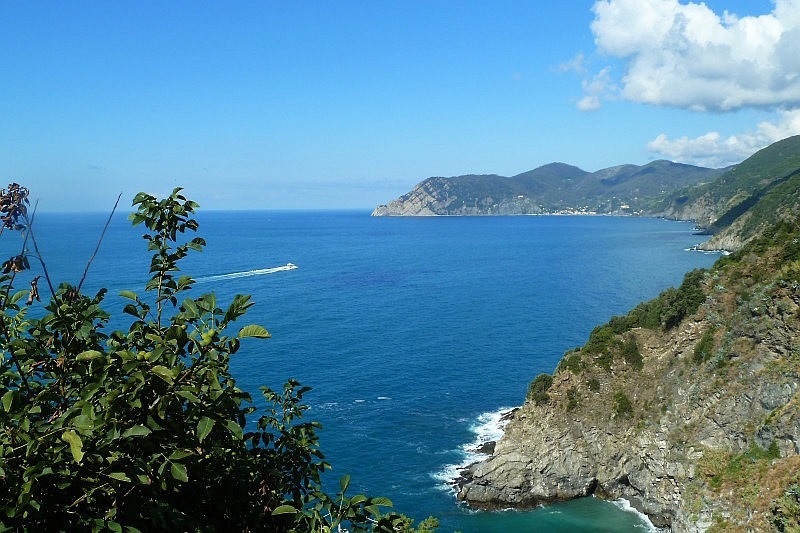 Staying with the Garfagnana, next up came a walk that, in all honesty, we’d rather have replaced with something else – a coastal walk along part of the famous Cinque Terre. Normally we like coastal walks, especially in Cornwall with the sound of the sea crashing on rocks beneath the rugged cliffs. However, walking along the equivalent of a block-paved pedestrian autostrada beside the relatively calm Mediterranean didn’t quite do it. However, when we were forced onto a coastal ferry because the second section of the walk had been closed due to a landslide, we discovered that the Mediterranean was not quite as calm as it appeared. But I digress … along part of this walk we spotted a female Red-veined Darter which Carol managed to snag on pixels. We had seen a few Hawker-type dragonflies flitting about the town at the beginning of our walk but they weren’t stopping. Moving onto our second week in the Chianti wine region, one of our cultural days (culture = cities and endless browsing in shops) was in Firenze, or Florence as we insist on calling it. This was a sizeable city and therefore my least favourite environment, though some of the sights were quite pleasant. 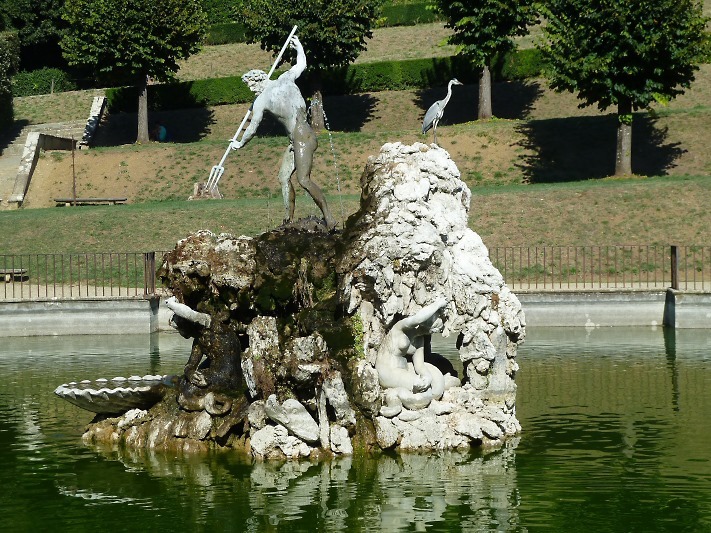 However, I’d spotted on our city map what appeared to be a possible haven called the Boboli Gardens. The map of the gardens showed two modest ponds. So, along with a couple of other males from our group who also disliked shopping, I went in, though I was a bit gutted to have to pay an entrance fee. Gardens are largely free in the UK, after all. The first pond looked sterile, i.e. there was absolutely no vegetation, and produced nothing. When I reached the second pond my heart sank ‘cos it looked exactly the same, utterly sterile, no vegetation whatsoever, though there was a Grey Heron (Ardea cinerea) fishing beside a classical statue. My companions lay down and began catching Zs so I walked around the edge of the pond. Sure enough, two Black-tailed Skimmers (Orthetrum cancellatum) were zooming about and occasionally alighting on the concrete edge. Given the condition of the habitat, I really don’t know what they were doing there but there they certainly were. I even managed to snag one on my modern instamatic. So, not a wildlife trip by any stretch of the imagination but it was nice to see some in passing.